On March 17, the youth organization of the RPA of “Avan” organized a memorable evening in the office of the party in the frames of the events dedicated to the 30th anniversary of the Artsakh Movement. 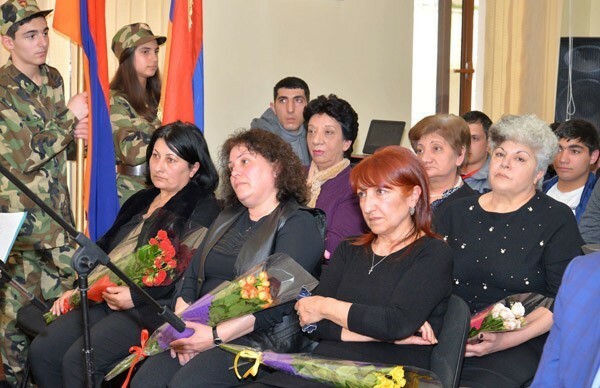 Priest Harutyun Avagyan, National Assembly deputy Robert Sargsyan, parents of the heroes were present at the event. The focus of the meeting was on the jubilee event - the 30th anniversary of the start of the process on the restoration of the Armenian nation’s independence, the national awakening, the starting point of which was given in 1988 when the Armenian announced to the world about its commitment to live in its free and independent country. That movement was a challenge to all forms of persecution, violence, through which our people had passed through their history. This movement became the basis for the restoration of the independent Armenian statehood.